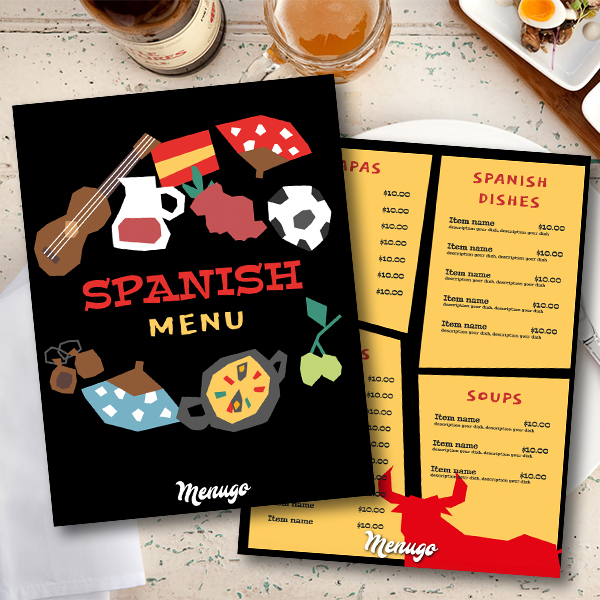 We found this humorous stylized Spanish theme very attractive to your visitors. This red bull on pages attacks hunger and easily beats it! Feel the full range of diverse Spanish cuisine. Fill out this template with your meals and print after!